We all are aware of the benefits of fish oil for our heart and overall health but it’s really not possible to eat fish every day. Here comes the role of best fish oil supplements which can fulfill the necessity of fish oil in your body that helps to boost your health drastically. Omega 3 is one of the vital nutrients for our body. Most of the fish oil is rich with omega 3 content which works amazingly to improve your heart health and many other issues related to heart like an unbalanced heartbeat, plaque reduction in arteries, stroke, sudden heart attack, hypertension and many more. If these much health benefits can be possible by consuming one single product then there is no room to think twice. Include this heart-healthy supplement in your everyday routine and forget about the risk and issues related to heart problems. Apart from the heart, it is also beneficial for the brain, joints, eyes, skin, hair, etc. 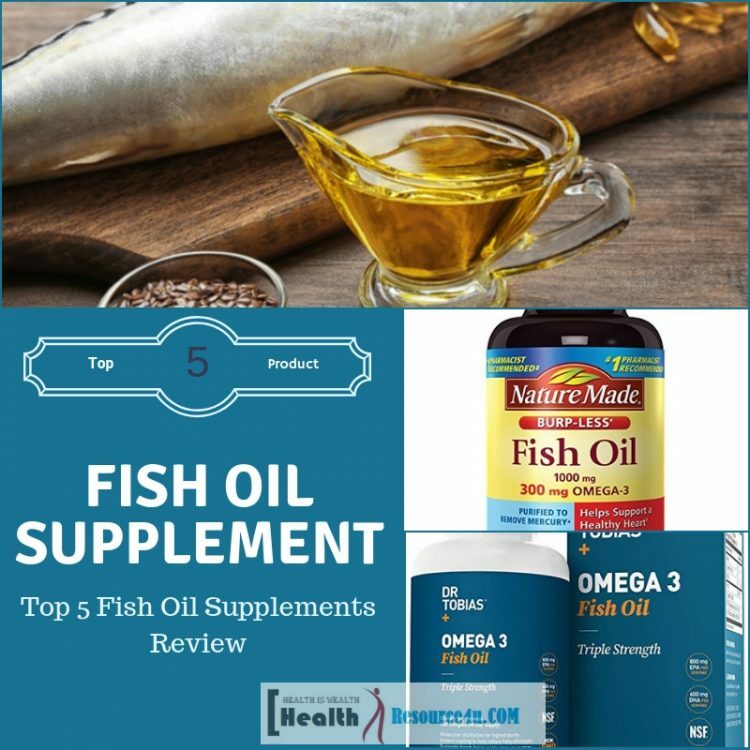 In order to make your way easy here we have enlisted five most beneficial and effective fish oil supplements which you can easily order online. So for your health and diseases, free life use this healthy food supplement without further delay. The Dr. Tobias Omega 3 Fish Oil contains Omega 3s in 3 to 4 times greater than the other fish oil supplements available in the market. It is manufactured with extreme purity through molecular distillation so that the user would get the best product without any content of toxins and other chemicals. These capsules are very comfortable to consume and do not leave a fishy odor behind it. It claims to give complete health care by boosting your heart, joint, brain, skin, hair, and mental health. It is prepared in such a way that can be absorbed in no time. Also, its especial coting feature ensures that the user only consumes fatty acid content and there will be no fishy taste afterward. The latest technology is applied in its preparation for purifying PCB’s, heavy metals and any other toxins which makes it consumable by the human being. 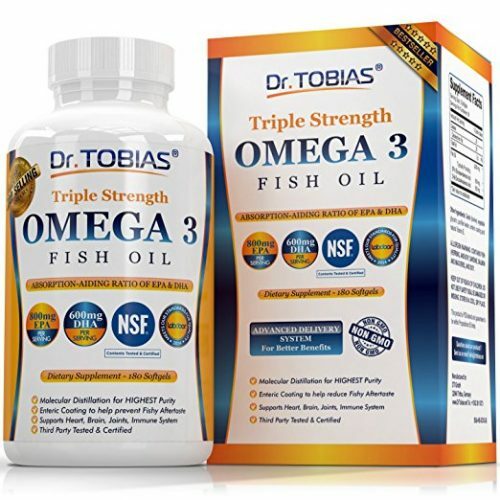 The Dr. Tobias Omega 3 Fish Oil contains 2000 mg fish oil, 1400 mg Omega 3s (800mg EPA, 600 mg DHA) and its absorption aiding ratio is EPA and DHA of 4:3. It is non-GMO, free of toxins and heavy metals which are purified through molecular distillation. It has triple strength than other similar products. Its source is wild caught fishes, not the farm raised. Other ingredients include vegetable glycerin, gelatin (bovine), natural Vitamin E and purified water enteric coating. Heart and mental stress is an epidemic in today’s society and every next person is found a victim of these health concerns. Here the need for a healthy food supplement arises which is easy to use as well as which can directly boost to these health conditions by relieving them. The user of this fish oil supplement have found an amazing reduction in their previous health concerns and also they saw a drastic increase in their immune system which is the most vital factor to keep someone healthy and prepared to fight with chronic health diseases. It contains 1400 mg of Omega 3 fatty acid. It serves well as a fish oil supplement. It helps to enhance heart, brain, joint, skin, hair and mental health. It is purified with molecular distillation. It is prepared from wild raised fish not farm raised. It does contain fishy taste. It doesn’t contain toxins and other heavy metals. It contains a very high nutritional value. Its quality is laboratory tested. This pack offers 25 exercise and mental relief online videos. The capsule size is bigger so while swallowing little difficulty occurs. Finally, we can say that Dr. Tobias Omega 3 Fish Oil is one of the best sources of Omega 3 Fish oil which is good for everyone’s health. Whether currently you have any serious health concerns or not, this fish oil supplement is equally beneficial for you as well as for someone who has chronic heart and brain diseases. This is a must recommendable product for our readers. For buying this product from Amazon click on the below link. If you are looking for healthy heart supportive and overall health booster supplement then you must try Nature Made Burpless Fish Oil. It is verified by the United States pharmacopeia which reflects its trust factor. It is deeply purified that makes it consumable by users. It is a great source of Omega 3 which is a vital nutrient for everyone especially after age 30 to maintain healthy and diseases free life. Nature Made Burpless Fish Oil is a distilled purified number fish oil supplement which claims to enhance heart health as well as the overall health of its user with regular consumption. Its especial coated pack prevents fishy burps. Its oil is extracted from the deep ocean water fish which are a huge source of omega 3. All the ingredients are clinically tested and approved that is why it is the number one recommended brand as a fish oil supplement. It ensures complete support for heart health and prepares it to maintain a normal and healthful lifestyle. It is free of artificial color, fragrance, flavor, and preservatives. It contains Glycerin, Gelatin, Tocopherols Fish Oil Concentrate Omega-3, Fatty AcidsOmega-3, and Water. The users of Nature Made Burpless Fish Oil have a very wonderful experience. This omega 3 rich fish oil supplement is prepared by considering the heart health of its ultimate users. 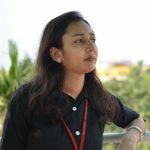 It not only helps to improve their heart health but they also found a reduction in some other health concerns too like joint pain, skin issues, loss of hair etc. This is the best Omega 3 supplement. It is deeply purified in order to remove mercury. It is prepared from ocean caught water. The EPA and DHA content helps to maintain a healthy heart. Its special coating prevents the fish burps. It is free of artificial flavor and preservatives. It doesn’t contain starch or yeast. Nature Made Burpless Fish Oil contains multiple features which help to boost overall health. Its omega 3 fatty acid content is good for the heart health. It is absolutely safe and free of toxins and preservatives. This will be a worthy purchase for our readers. The Viva Naturals Omega 3 Fish Oil Supplement provides excellent purified omega 3 concentrated fish oil which is specially prepared with the use of chemicals or heat. It is 3 times faster and more effective than other similar products on the market which makes it different and trustworthy. It is good for the heart, eye, skin and brain health. It claims to boost the overall health of both men and women of all ages. With age, the normal metabolism of the body gets reduced which causes tiredness and effect to normal immunity power. This healthy fish oil supplement ensures a very high rate of metabolism with its regular consumption. It is easy in consumption and there is no fishy aftertaste. The Viva Naturals Omega 3 Fish Oil Supplement is IFOS 5 star certified. This fish oil supplement is rigorously tested to make it easily consumable by users. It doesn’t contain fishy burps or fishy aftertaste just like low-grade fish oil supplements. Also, small and healthy fishes are used in its preparation which has a low level of toxins and mercury. It contains fish oil of Anchovy, Sardine, Mackerel, and glycerin, water, bovine, halal and Vitamin E. It is free of heavy mercury and toxins. The Viva Naturals Omega 3 Fish Oil Supplement has helped its users in numerous ways. This omega 3 supplement is not only good for the heart health but it also improves the digestive power, brain health, skin, and hair health. Also, it improves the body metabolism of its users and makes them much more energetic and younger than before. It is good for the heart and overall health. It helps to improve metabolism. It doesn’t contain fishy burp or odor. It is also helpful for mental health. It is free of heavy metals and toxins. It is well purified and laboratory tested. It is good for both men and women. It also provides relaxation from inflammation. Ocean caught fish are used in its manufacturing. It is often recommended by doctors for improving heart health. Its purity is IFOS 5-Star certified. One of its users found an issue in the digestion of this fish oil supplement capsule. If you are sick and tired of your regular bad health and not getting improvement from normally prescribed medication then you must try this omega 3 fish oil supplement. This healthy supplement is beneficial for overall health like your eyes, skin, heart, brain, joint, digestion, etc. No doubt this is a must recommendable product for our readers. 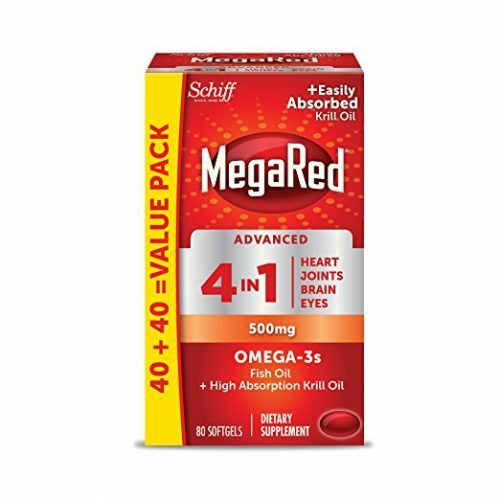 The MegaRed Advanced 4 in 1 Omega 3 Fish Oil is a rich source of omega 3 fatty acid which helps to improve four primary body parts health of its users naming brain, heart, joints, and eyes. So under single head expense, the users get 4 benefits means completely money saver. It is totally fresh, pure and laboratory tested. The MegaRed Advanced fish oil supplement claims to provide four health benefits by boosting your heart, brain, joint, and eye’s health. It is 2x more effective than the usual fish oil. It is prepared through the fisheries which are certified to the MSC’s standards. It is well purified for preventing chemicals and toxins. It is a good source of nutrition with high concentration fish oil and high absorption krill oil combination. The MegaRed Advanced is a great source of fish oil and krill oil supplement which is easily soluble and effective in improving four major part of your health. It contains wild caught fish oil which is better for health with the comparison to farm-raised oil. It contains EPA, DHA, glycerin, water, gelatin, caramel color, ethyl vanillin, etc. Those who have high cholesterol level and cardiac, joint and chest stress they found a drastic reduction in these health issues after using this fish oil supplementary pill. As it is free of fishy odor and burp so it is easy to consume. The range of satisfied customer for this product is too many and they often recommend it to their friends and family. It has two times greater omega 3 than other similar products. It provides relief from the heart, brain, joint and eye stress. It doesn’t leave a fishy odor after eating. It has a great combination of fish oil and high absorption krill oil. It contains fish oil from certified fisheries. It is laboratory tested and approved. It is fresh as well as pure. One of its users got irritation and heart paps after its use. Fish oil supplement is a great source and vital element for improving overall health whether it is kids, young generation or old age people. The MegaRed Advanced is suitable for everyone. It shows amazing healthy changes in the health within a month of its use. This will really be a worthy purchase for our readers. 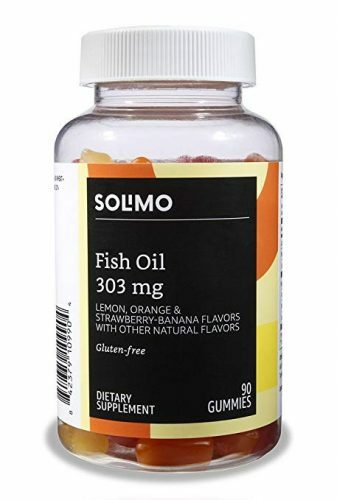 If you are wondering for a fish oil supplement with delicious flavors which suites to your taste bud then you must try Solimo fish oil. It comes in different delicious flavors such as orange, lemon, strawberry banana flavors, and other natural flavors. This fish oil supplement is prepared with healthy nutrients and free of toxins and harmful chemicals. It is good for overall health. It claims to boost your heart health. Apart from that, it is also effective to enhance metabolism rate which is essential to keep someone energetic and healthy with all respect. It is easy to consume and by taste also it is delicious. It is for everyone who has weaker immunity power and has to live in regular medication. It comes in different flavors and tastes. This fish oil supplement contains Tuna fish oil, Pectin, Gelatin, Glucose syrup, citric acid, fractionated coconut oil, carnauba wax, added colors, etc. It is free of gluten, dairy, egg, and wheat. The Solimo fish oil is one of the best fish oil supplements available in today’s market. Its users are very much satisfied with its amazing features and positive changes in their physical health as well as mental health too. It contains fish oil and other healthy ingredients. It is very easily chewable even by weaker teeth. It helps to boost overall health. Its aftertaste is not good. The Solimo fish oil is a multipurpose product which not only boosts your health but also prepares your body for fighting with future health concerns by improving your immunity power and enhancing metabolism rate to make you active and energetic every time. All the best fish oil supplements mentioned here are multipurpose health grooming products which can change your life by relieving your existing bad health positions and by preparing you for future health hazards.